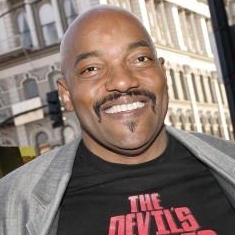 Ken Foree broke onto the horror scene in 1978 with George A. Romero's classic Dawn of the Dead. Since then, he's kept pretty close ties with the genre, including a part in Rob Zombie's The Devil's Rejects. While signing autographs at San Diego Comic-Con International, he took a moment to answer a few questions for us. Classic-Horror: Tell me a little about your role in The Devil's Rejects. Ken Foree: Well, I play Charlie Altamont, alias Wolf J. Flywheel. I'm one of the family members. I'm Sid Haig's brother, Captain Spaulding's brother. I'm a scandalous character; I don't slay anybody, I don't kill anybody, but I'm nobody you want to bring home to Mom or to your sister. Especially your sister. C-H: What was it like working with Rob Zombie as a director? Foree: Rob Zombie as a director is relaxed, fun, creative, experimental, if you will. It was a great time. He's the guy who gives you enough leverage to do what you would like to do and still stay within the boundaries of the script and the focus of the text. He's a good director and he should do more. He should keep directing and if Hollywood isn't banging on his door then they're making a huge mistake. C-H: That sounds like something people have said about George Romero. Is that a comparison that's apt? Foree: Capra! It's like comparing Frank Capra and Ford: two great moviemakers, different styles. I think Capra had a few flops and so did Ford, you can't always bat 1000, you know what I mean? You can't always bat .400 to keep it within reason. I think that George has had a few that haven't been as successful as he would've liked and I think Rob will run into that situation if he continues to direct, too. But I think that both of them have great talent, but Rob is the new boy on the block and I look forward to some exciting things from him in the coming years. C-H: What was your favorite part of making Dawn of the Dead? Foree: There were several. You know, it's hard to pick one. It truly is hard to pick one. There were so many experiences in that film and all of them memorable. I think the one that most young men can relate to is jumping into the gun shop, putting on the double holsters, putting in the Derringer, putting on the bandolier, coming out, and the music's going (mimics the score). I felt like a real Western cowboy star and ready to shoot up everything going. So that was one of my favorite scenes. I think the line is "The only the sucker who could ever miss with this gun is the sucker with the bread to buy it." C-H: It's one of my favorites also. What did you think of Land of the Dead? Foree: I thought it was a great horror film. I thought it was really good. I enjoyed it. I thought George put his stamp on it, and I'm disappointed that it hasn't done as well as it should. At the box office, I think it had a lot of competition, but I'm still stunned and surprised that it didn't come in at 30 million in the first weekend. But I think it's a good film, I think George did a great job and I'm a Romero fan like everybody else. C-H: After Devil's Rejects, do you have any other projects coming up? Foree: There's one -- the special effects guy was just here -- it's called The Dark Between the Stars. That's a sci-fi/horror and I'm very excited about it except we were supposed to shoot it January 18th, and because it's set in a desert and we have prehistoric sand monsters comin' out of the sand and Indian burial grounds, it's gotta be a desert film. January 18th, if anyone's familiar with California and what was happening at that point, we had torrential rains for about a month and a half. So, you can't have sand creatures coming out of mud, so it's been put back. I'm really excited about the script, I think it's a fantastically well-written script, and a great role. I did a lot of preparation for the role, so I'm just itching to see if they're gonna get it back up and we can get started with it. 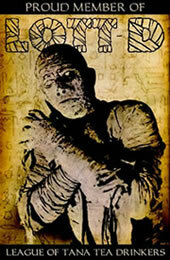 Classic-Horror.com would like to thank Ken Foree for his time. Mr. Foree's website can be found at KenForee.com. The Devil's Rejects opened Friday, July 22.